Need help creating your resume? 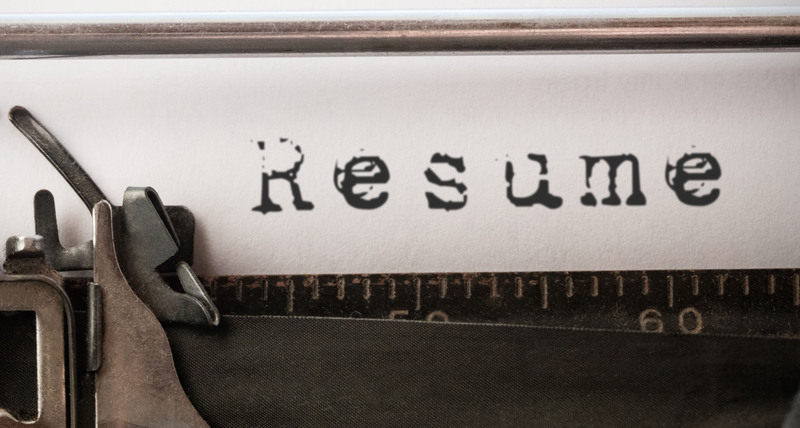 We have tips on formatting, resume examples, and proper resume handling. 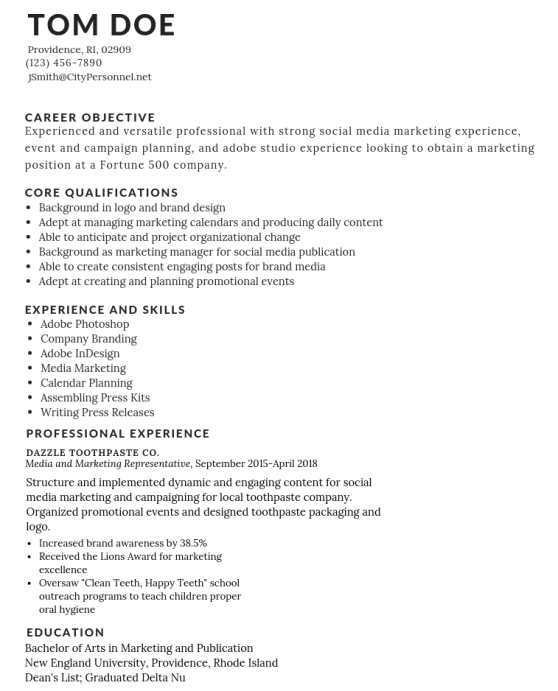 A millennial resume is similar to a regular resume in regards to the information and formatting used, with the added bonus of being aesthetically pleasing to look at. The goal of a millennial resume is to catch the eye of the intended reader, thus putting the applicant at the front of the reader’s attention, almost like a proverbial line-cut. If you are just starting out creating and writing your own millennial resume, whether it’s creating one from scratch or updating your old one, we have helpful tips for how to format your resume with examples, types of resumes, and tips about resume responsibility. Name and contact information: This should be somewhere at the top of your resume. If you have experience in a particular career field, the field(s) may be listed under your name. Near or under your name should be preferred contact information (either a phone number, email address, or both). You can also include a LinkedIn profile link for employers to view. *Summary: This will be near or directly under your name and contact information. The summary should be 3-5 sentences long and be written without contractions. The summary’s purpose is to give the reader a feel for the applicant’s personality and work attributes without being too personal. Education: If you are a recent graduate, this will be above your work experience. If you are not a recent graduate, this will be listed after your work experience. Always list your most recent educational institution towards the top of the list, even if you have yet to graduate. Work experience should always be listed in backward chronological order. This means you will start with your newest or most recent experience, and end with your oldest or first experience. When listing your work history, start with the name of the company with the dates of employment to the right (Use months and years to indicate dates. If you are still working at a location, please indicate to the right of the start month and year). Under the name of the employer, list any titles or positions held. Finally, include a small bulleted list detailing responsibilities held in that position. 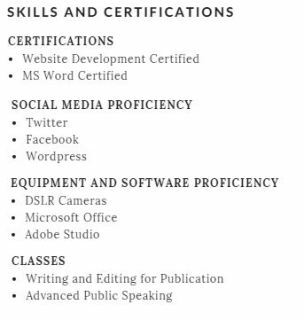 Skills and Certifications: Sub-categories included below. List all or some of the bullets and fill in the blanks under them. Only use what is applicable to your own experiences. If you’re a recent graduate, you can also include a section for “Classes”, if the classes you list are relevant to the position you’re applying to. There are typically two types of resumes used by career seekers. A Chronological resume and a Functional resume. 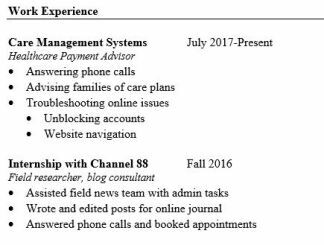 Chronological Resumes: These are the more commonly used style of resume. Their purpose is to showcase an individual’s work history and experience. They usually contain a summary and a chronological listing of all employment history and education, as well as any relevant skills and certifications. These resumes are more commonly used by individuals who have a steady work history and have been in their career field for a while. If you are switching your career or just entering the workforce, you should consider using a functional resume style. 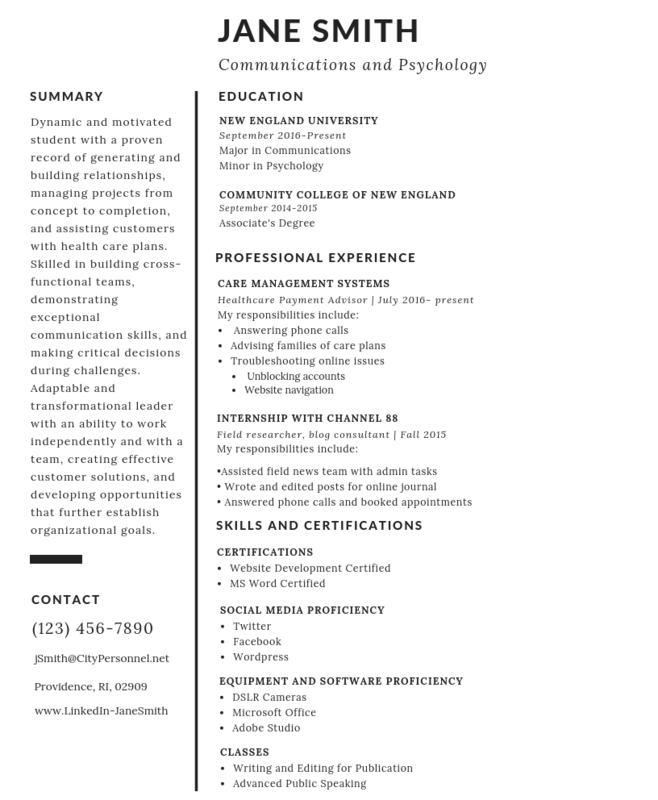 Functional Resumes: These resumes are used to highlight an individual’s abilities and skills by listing only the most relevant experience in their work history. They contain an objective statement, a list of workplace highlights, skills, employment history, and education. These resumes are best for individuals who have gaps in their work history, are reentering the workforce, have changed jobs frequently, or who are looking to transition into a new career. Creating Your Own: Canva is a great way to create a millennial resume for little or no cost. You can use one of their free templates, or work from scratch. Just make sure that your resume is not so flashy it’s distracting to the reader. Try using neutral colors and easy-to-read fonts. Double Check: It’s embarrassing when you go to hand over your resume, only to notice a typo. Double or triple check the spelling and grammar before submitting your resume anywhere. A great way to do this is by having someone you trust to read it over first. Up-to-Date: When an employer looks at your resume, they’re assuming that this document is accurate and recent. Never hand in or apply with a resume that isn’t up to date, as this makes the applicant look careless. If you can’t access your resume at home through a computer or laptop to update it, use the local library. They have printers and computers that are open for public use. References: When listing your references, make sure you include their name, how you know them, and either a phone number, email, or both. In addition, you should always let your references know when you will be submitting a resume so they aren’t caught off guard when your interviewer tries to contact them. Always Keep a Copy: Always have a backup of your resume so you can always access it. The best way to do this is by backing it up to a google drive. Google drive is a free service, and it can be accessed from any computer or mobile device with internet capabilities. As always, we want to help you succeed in your job search. For more articles and videos with tips and tricks about interviews, resumes, and anything job-related, follow our blogs on WordPress and on CityPersonnel.net, or find us on Facebook, Instagram, Twitter, and YouTube.